Business Plan Competition (BPC) for aspiring young entrepreneurs in Nigeria, in line with the Federal Government’s drive to create more jobs for Nigerians. The programme will be implemented in partnership with Nigeria’s private sector, who will be requested to provide funding support. Check that you are qualified to apply. After the closing date you will be notified if you have been selected for the next stage of the competition. You can join the discussion on Facebook, Linkedln and Twitter. 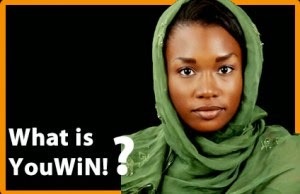 We will also post regular updates on the YouWiN! homepage. For more information and application details, follow This Link To Visit The Official Web Page. The deadline to submit the first Application is 30th January 2015.